Over 50k of dedicated Mountain Bike Track only 7k from Darragh Cottages! 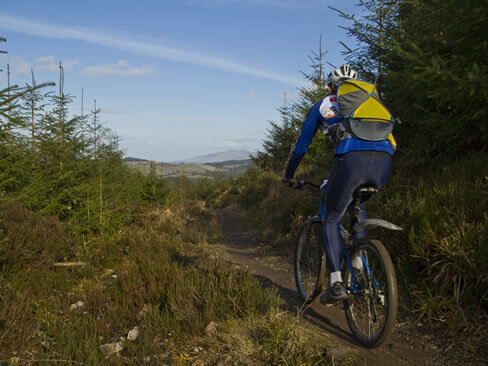 The Ballyhoura Mountain Bike Trail Network is the largest trail network of it’s kind in Ireland and provides many options for off-road cycling in the mountains including forest roads and single track climbs. Forest road climbs lead you into tight twisty singletrack with loads of ups and downs, tight turns and technical rocky bits. The trails range from a moderate 6 kilometre Greenwood loop to the demanding Castlepook loop, over 50 kilometres in length!